CSIR-Food Research Institute, P, O, Box, M20, Accra, GHANA. Six different mushroom species (Termitomyces, Ganoderma, Amauroderma, Mycena, Marasmus and an unknown) were studied to ascertain their phytochemical and antioxidant properties and determine their TLC analysis of methanolic extracts. The DPPH (1,1-diphenyl-2-picrylhydrazyl) model was employed to determine free radical scavenging activity of the methanolic extracts of the mushrooms, aluminum chloride calorimetric method for flavonoid, Thin layer chromatography (TLC) for retention factor and atomic absorption spectrophotometric (AAS) for macro and micronutrients. Phytochemical analyses of the methanolic extract revealed the presence of antioxidants, phenols and flavonoids. The antioxidant values (IC50 (μg/ml)) ranged from 1.56 x 10-4 to 21.07 x 10-4. Total phenol content ranged between 2.54 and 17.53 mg/g GAE with a mean of about 11.27 mg/g GAE. Total flavonoid content also ranged from 5.46 to 23.75 mg/g RUE with a mean of 13.41 mg/g RUE. Micronutrients such as cadmium, iron, lead, manganese and zinc were determined. Also macronutrients determined included, calcium, potassium, magnesium and sodium. Sodium ranged the highest with values ranging 6966.67 mg/L to 9600.00 mg/L followed by iron ranging from 1613.67 to 3040.00 mg/L. Percentage crude protein ranged between 11.09 % and 28.24 %. Alkaloid was present in only Mycena sp and Ganoderma sp with a band each of Rf value of 0.49. A total of 18 different bands were recorded for flavonoid with Rf values that ranged between 0.20 and 0.97, respectively. The antioxidant potential of the methanolic extracts of the mushroom samples in this study recorded higher values. This indicates that mushrooms have high antioxidant properties and rationalizes further investigation in the potential discovery of new natural bioactive principles from these mushrooms. The aim of this study was to characterize mushroom species collected from Shai Hills Reserve in Ghana on the basis of their nutrient content, phytochemical constituents and antioxidant potentials. Mushroom samples were collected from the Shai Hills Reserve in Ghana in 2014. These were collected in brown large envelopes and identified using cultural and morphological characteristics.14,15 The samples were later sun-dried and kept in the freezer until ready for use. Mushroom samples were prepared by following a modified approach.16 The mushrooms were lyophilized (Labconco, Missouri) and pulverized into fine powder. Ten grams of the pulverized samples was extracted with 100 ml of methanol at 25°C at 20 g for 24 hours and filtered through Whatman No. 1 filter paper. The residue was extracted with two additional 100 ml portions of methanol as described above and combined ethanolic extracts were concentrated under reduced pressure below 40°C to obtain the crude extract. The crude extracts were re-dissolved in methanol at concentration 20 mg/ml and stored at 4°C for further analyses. The diluted working solutions of the test extracts were prepared in methanol. Accurately 100 μl of test samples (0.6-20.0 mg/ml) in methanol was added with 5 μl DPPH solution in 96-well microtitter plates. An amount of 0.002% DPPH was prepared in methanol. One microliter of this solution was mixed with 1 ml of sample solution and the standard solution to be tested separately. These solution mixtures were kept in the dark for 20 min and optical density was measured at 517 nm using a spectrophotometer against methanol. The blank was used as 1 ml of methanol with 1 ml of DPPH solution (0.002%). The optical density was recorded and percent of inhibition was calculated using the formula given below. Percent inhibition of DPPH activity = (A−B/A) × 100 where A is optical density of the blank and B is optical density of the sample. Total phenolic content in the methanolic extracts was determined by using Folin-Ciocalteau reagent based on modified version.17 Each sample (150 μl, 10 mg/ml) was added with 1200 μl distilled water and 450 μl aqueous sodium carbonate solution. One hundred microliters of Folin-Ciocalteu reagent was added to the mixture and agitated. The mixture was allowed to stand for 90 minutes and the absorbance was measured at 760 nm by using UV/visible spectrophotometer (SpectraMax Plus384, United States). The concentration of total phenolic compounds was calculated based on standard curve of gallic acid (0.2-1.0 mg/ml) with the linear equation, y = 0.624x − 0.939, where R2 = 0.995. The results were expressed as μg of gallic acid equivalent (GAE/ μg) per gram of the extracts. The modified aluminum chloride colorimetric method18 was used to determine flavonoid content. Mushroom extract (100 μl, 10 mg/ml) was mixed with distilled 500 μ water and sodium nitrite, NaNO2 (5%, 30 μl). The mixture was allowed to stand for 5 minutes. Aluminium chloride solution, AlCl3.H2O (10%, 60 μl) was added to the mixture and left for 6 minutes. Sodium hydroxide, NaOH (1M, 200 μl) and 110 μl distilled water were added to the solution and mixed well. Absorbance of the solution was measured at 510 nm (SpectraMax Plus384, United States) and the concentration of total flavonoids content was calculated based on standard curve of rutin (0.2-1.0 mg/ml) with the linear equation y = 0.0101x + 0.2238, where R2 = 0.9563. The results were expressed as μg of rutin equivalent (RE/ μg) per gram of the extracts. The micro and macronutrients were determined by an atomic absorption spectrophotometric (AAS) method. The samples were digested in nitric acid solution and passed through the AAS system using different lamps. Calibration was done with related minerals in different concentrations for different mineral elements. Where a represents titre value of sample, b, the titre value of the blank, V represents the extraction volume (100 ml) and W represents the weight of the sample (0.1 g). The crude protein content was estimated by multiplying the percent nitrogen value by the factor 6.25. The extracts of Ganoderma sp showed the strongest activities for DPPH radicals and its IC50 value was 1.56 x x 10-4 μg/ml (Table 1). The extract for the unknown species gave the lowest activity. Moderate activity was recorded by the extracts of Mycena sp, Marasmus sp, Termitomyces sp and Amauroderma sp. Radical scavenging activity of mushroom samples studied by Shirmila and Radhamany3 was 450 μg/ml. The antioxidant potential of the methanolic extracts of the mushroom samples in this study recorded higher values. The highest total phenol content of 17.53 mg gallic acid equivalent g was recorded for Mycena sp. While the lowest amount was realised from the extract of Amauroderma sp (Table 1). Total phenol content as reported in this work is higher than those reported by Shirmila and Radhamany3 who reported a total mean value of 1.901+0.011 mg GAE /g of extract. Amauroderma sp had the lowest content of cadmium (2.30 mg/L) while the highest content of 8.40 mg/L was recorded by the unknown sp. (Table 2). The most abundant micronutrient was found to be iron ranging from 1613.67 mg/L to 3731.00 mg/L. Iron values in mushroom samples as reported20 ranged from 568–3904 lg/g. The iron values of the present study fall within this range. Free radical scavenging activity, total phenolic and total flavonoid mean content of the six mushroom species. Alkaloid was present in only Mycena sp and Ganoderma sp with a band each of Rf value of 0.49 (Table 4). A total of 18 different bands were recorded with Rf values that ranged between 0.20 and 0.97 (Table 5). Two different bands were recorded by the Marasmus sp. with Rf values of 0.2 and 0.72, respectively. Five different bands were recorded by the unknown sp. with Rf values of 0.22, 0.43, 0.63 and 0.88, respectively. Amauroderma sp. recorded only one band with Rf value of 0.40. Mycena sp. recorded a total of two different bands of Rf values of 0.23 and 0.73, respectively. A total of five different bands were recorded by Termitomyces sp. with Rf values of 0.25, 0.51, 0.63, 0.97 and 0.97, respectively. The Ganoderma sp. also recorded a total of five different bands of Rf values of 0.21, 0.63, 0.70, 0.76 and 0.90, respectively. The band with Rf value of 0.63 was common to the unknown species, Termitomyces sp. and the Ganoderma sp. A total of 15 different bands were recorded with Rf values ranging from 0.16 to 0.99 (Table 6). Extracts of Marasmus sp. recorded a total of four different bands with Rf values of 0.59, 0.66, 0.94 and 0.99, respectively. A total of four different bands were recorded by extracts from the unknown sp. at Rf values of 0.16, 0.41, 0.73 and 0.79, respectively. Extracts of the Amauroderma sp. gave two bands with Rf values of 0.71 and 0.78, respectively. A total of three different bands were recorded by extracts from the Mycena sp. with Rf values of 0.68, 0.69 and 0.94, respectively. Extracts of the Termitomyces sp. gave a total of two different bands with Rf values of 0.44 and 0.88, respectively. The Ganoderma sp. extracts gave a total of four different bands with Rf values of 0.62, 0.68, 0.94 and 0.99, respectively. The band with Rf value of 0.68 was common to the Mycena and Ganoderma spp. The band with the Rf value of 0.84 was common to the Marasmus, Mycena and Ganoderma spp. Similarly the band with the Rf value of 0.99 was common to the Marasmus and Ganoderma spp. A total of 13 different bands were scored with Rf values ranging between 0.07 and 0.61 (Table 7). Extracts from the Marasmus sp. recorded a total of 2 different bands with Rf values of 0.10 and 0.61, respectively. Extracts from the unknown sp. recorded a total of three different bands of Rf values of 0.07, 0.27 and 0.56, respectively. The Amauroderma sp. extracts gave a total of three different bands with Rf values of 0.07, 0.37 and 0.56, respectively. Extracts from the Mycena sp. gave a total of 2 bands with Rf values of 0.11 and 0.61, respectively. The extracts from Termitomyces sp recorded a total of three different bands with Rf values of 0.16, 0.28 and 0.55, respectively. The Ganoderma sp. extracts gave a total of four different bands with Rf values of 0.13, 0.31, 0.43 and 0.61, respectively. The bands with Rf value of 0.07 and 0.56 was common to the unknown and Amauroderma spp. Similarly, the band with Rf value 0.61 was common to the Mycena and Ganoderma sp. TLC profiles of mushrooms is a new area of research in Ghana. The TLC revealed the presence of single alkaloid compound which was present in only Mycena. The highest number of flavonoid compounds was detected in extracts of Ganoderma sp, Termitomyces and the unknown sp. concerning saponin profile the highest number of compounds were present in extracts of Marasmus sp. Ganoderma and the unknown sp. The highest number of terpene compounds was detected in extracts of Ganoderma sp. Phytochemical analyses of the methanolic extract of the mushrooms revealed the presence of antioxidants, phenols and flavonoids. The highest number of flavonoid compounds was detected in extracts of Ganoderma sp, Termitomyces and the unknown sp. There is the need for further investigation with the view of discovering new natural bioactive principles from these mushrooms. TLC profiles of mushrooms is a new area of research in Ghana. The authors are grateful to the office of research and innovative division of the University of Ghana for providing funds for the research. 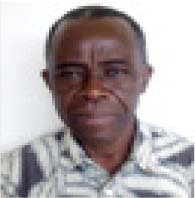 Dr. Ebenezer Owusu is a Senior Lecturer at the Department of Plant and Environmental Biology at the University of Ghana. He is a member of many scientific associations and has publications in many peer-reviewed journals. Mrs. Gladys Schwinger was an Assistant Lecturer at the Department of Plant and Environmental Biology at the University of Ghana. 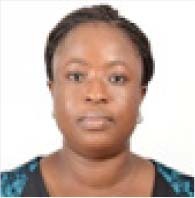 She is currently pursuing a PhD degree at the Institute for Environmental and Sanitation Studies (IESS), University of Ghana. 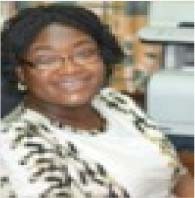 Matilda Dzomeku is a Research Scientist and the head of the mushroom laboratory of CSIR-Food Research Institute. 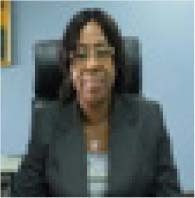 Professor Mary Obodai is a Principal Research Scientist and the Director of CSIR-Food Research Institute. She is an Associate Professor at the CSIR college of Science and Technology. 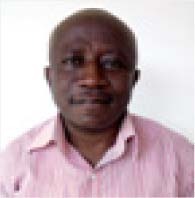 Professor I. K. Asante is professor and Head of the Department of Plant and Environmental Biology at the University of Ghana. He has published extensively in many peer-reviewed journals. Roger P , author. Mushrooms and other Fungi of Great Britain and Europe. Irish Book Center. (1st Ed). 1989;ISBN-10: 0330264419. Pegler D, Spooner B , authors. The Mushroom Identifier. 1992. Published by The Apple Press. ISBN 1-85075-361-5.